November 29, 1910 –As President R. R. McCormick of the Board of Trustees of the Chicago Sanitary District removes the last shovelful of clay, a crowd of 1,000 residents of the North Shore cheer, and the waters Lake Michigan enter the North Shore Channel of the drainage canal at Wilmette. There are no speeches; the day is raw with a cold wind out of the north, not great weather for the workmen standing knee-deep in the water, digging away at the dam that separates the lake from the channel. 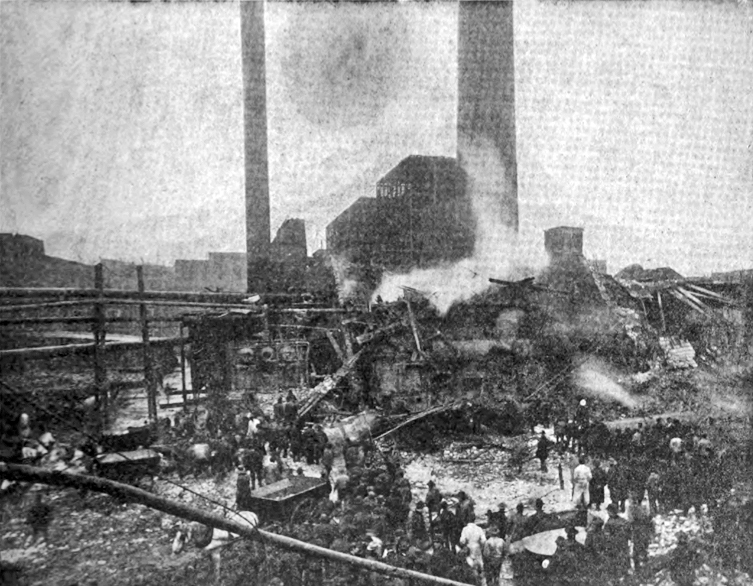 By 10:40 McCormick, joining the workmen with a shovel, is able to admire the completed project as “the water licked over the disappearing clay obstruction and in another moment began sweeping through the flume.” [Chicago Daily Tribune, November 20, 1910] On November 8, 1903 the Board of Trustees of the Sanitary District authorized an ordinance that provided for a channel through Wilmette and Evanston, intersecting with the Chicago River at Lawrence Avenue, a distance of a little over eight miles. The channel, costing close to $4 million and taking three years to dig, had two basic purposes. 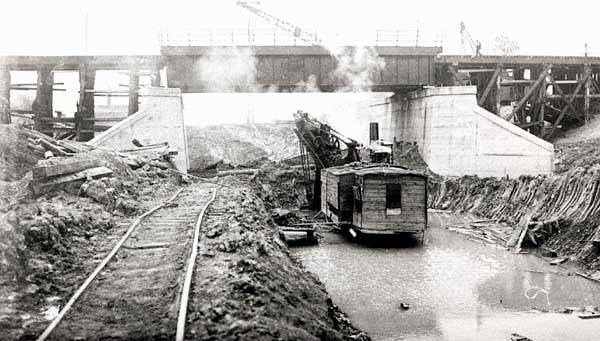 One was to take reasonably clean Lake Michigan water and divert it through the channel, forming enough of a stream so that, when it reached the North Branch of the Chicago River, which had for a half-century been notorious for its stagnation and offensiveness, it would move the whole mess south toward the Chicago Sanitary and Ship Canal. A secondary purpose was to divert the sewage of Evanston, Wilmette and Winnetka toward the channel so that it would no longer flow directly into Lake Michigan. With the completion of Chicago’s Deep Tunnel project, the North Shore Channel is a much more attractive place as the storm waters of the city, except in extreme situations, is diverted away from the channel. 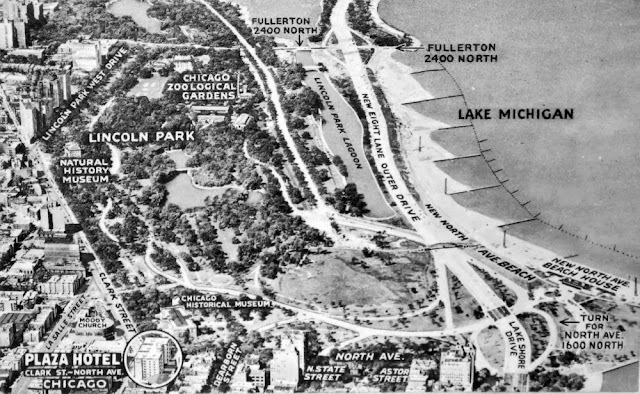 Because there was a difference of over four feet between the North Shore Channel and the North Branch of the Chicago River, a man-made dam was created at what is now River Park at 5100 North Francisco Avenue. This year that dam, the last one in Chicago, was removed by the Army Corps of Engineers. It is hoped that this will make the North Shore Channel an even richer environment with increased biodiversity. The Chicago Park District’s manager for the project, Lauren Umek, says, “So the fish are coming, swimming upstream – they hit that concrete wall and they’ve got nowhere to go. They can’t go up the North Branch of the Chicago River.” [new.wttw.com] The $14 million removal of the dam is part of a much larger project known as the River Riparian Connectivity & Habitat Improvement plan which has the goal of making “Chicago’s rivers and canals cleaner, more inviting and functional.” [smothsonianmag.com] The above photo shows the channel nearing completion in June of 1910. November 29, 1935 – Robert Dunham, the president of the Chicago Park District, announces that a new highway will be built to serve as a north side connection with the bridge across the Chicago River, currently under construction. Dunham says that plans are to begin the new highway in December with the section from Ohio Street to North Avenue completed by the time the Lake Shore Drive bridge across the river is finished. November 25, 1877 -- Baseball on the Lakefront?